What does the standard ticket give me access to? The standard access ticket gives you up to three days of programmed content. You can watch this as it is delivered in the Summit program, or in your own time on demand! You will have up to six days to watch and replay the three-day broadcasted content. You will also get access to the virtual Exhibition Hall and all of the booths during the three-day broadcast and the general networking lounge! What more does the premium ticket give me access to? The premium access ticket gives you an additional 30 days to access the programmed content on demand, and at your leisure! This is the recommended choice as most people find the huge variety and volume of content hard to consume with the standard access timeframe! What does the Health Professional Only Ticket give me access to? The Health Professional Only Ticket is a premium ticket which gives you an additional 30 days to access the programmed content on demand, and at your leisure! This is the recommended choice as most people find the huge variety and volume of content hard to consume with the standard access timeframe! You will also get access to the virtual Exhibition Hall and all of the booths during the three-day broadcast as well as the gated Health Professionals Only networking lounge, in addition to the general networking lounge! Join us in the Health Professionals Only networking lounge for additional live panel events on clinical topics and join in the ongoing clinical communication here! If I have purchased standard access can I upgrade my ticket to premium access? Yes, you can! If you have already purchased a Standard Ticket, it is not too late to upgrade to premium access. Please click on this link <<upgrade link>> to upgrade your ticket. NB: Your login details will be emailed to you on MONDAY 8th of April. Please keep these handy as you will need these for your unique Ticket Access. In what time zone is the program scheduled? The Program and Live Panels will be broadcast on Sydney, Australia time (AEST), all content will be available to view as a replay after this time for as long as your ticket access permits. The venue is your living room – or where ever you want it to be on any internet enabled device! It is hosted completely online and is mobile friendly! How does the Virtual Summit work? Virtual summits are delivered like a normal conference, except that they are completely online. We have programmed three days of speaking events, with speakers scheduled within 8 separate plenary streams. Each plenary session is roughly 90 minutes each with presentations ranging from 20-45 minutes. There will also be a virtual Exhibition Hall that you can visit when you are not watching the broadcast program or replays. Much like a ‘real’ exhibition hall, you can interact online with the exhibition booth holders, download their content, watch additional videos here and get up to speed with what each booth holder is offering. What currency is it billed in please? Pricing for the Summit is in Australian Dollars (AUD). All profits raised from the INSIGHT SUMMIT in 2019 will go to our eight nominated Charity partners. Each of these partners have been chosen for their tireless work in helping to research, support, educate and raise awareness for people living with Parkinson’s disease. Who is the founder of INSIGHT? 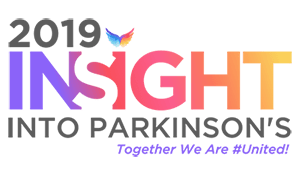 The INSIGHT Summit is an initiative of PD Warrior <<link to www.pdwarrior.com>> a neuro-active exercise program for people living with early stage Parkinson’s disease. INSIGHT was created out of a desire to bring world class people together in an environment that everyone can access online; clinicians, researchers, influencers, academics, people living with Parkinson’s, carers and family members and health professionals. INSIGHT was created to help with collaboration, education and inspiration as we all work towards a better world supporting people with Parkinson’s today and in finding a cure for tomorrow.